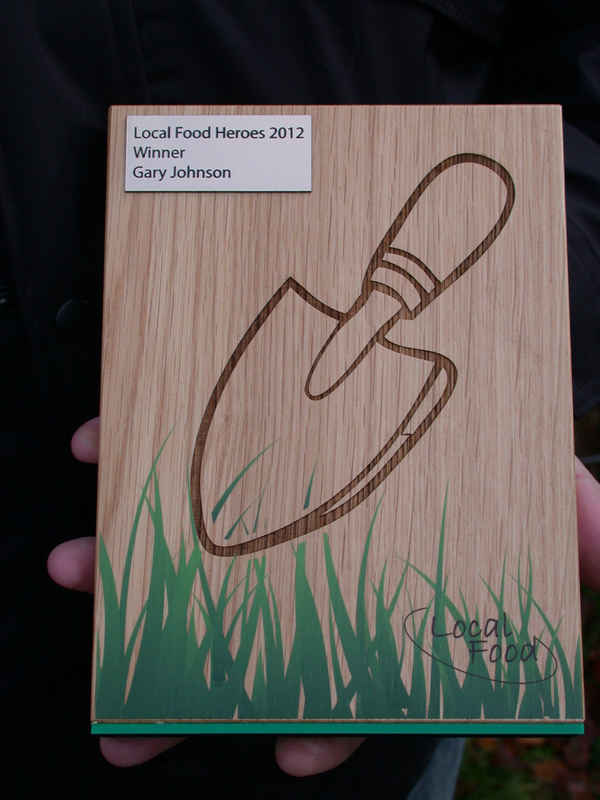 Gary Johnson, who has been a Brighton and Hove Allotment Federation Committee member since the 2012 AGM has been voted ‘Local Food Hero 2012’ by the ‘Local Food’ organisation, for his outstanding work on the demonstration allotment garden at Preston Park, and for his reliability and willingness to share his knowledge with others. Well done Gary, Congratulations! 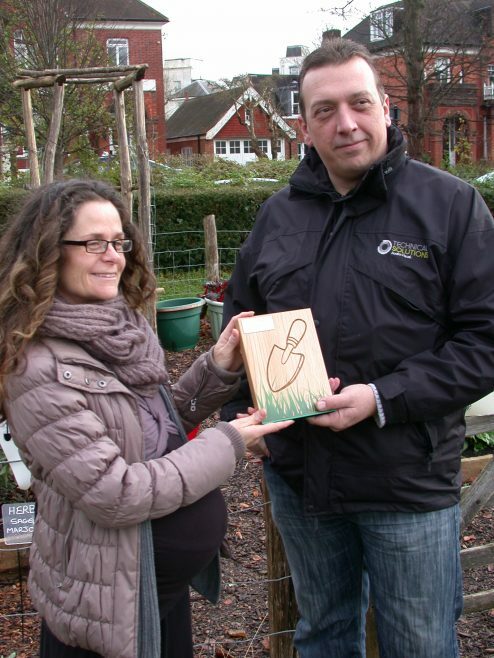 A local man has won an award for his outstanding contribution to a food-growing community initiative called Harvest Brighton and Hove. Gary Johnson fought off all his competitors to be named South East Local Food Hero 2012. On Monday 3 December, he will be presented with his award by Local Food, a £59.8m scheme that distributes grants from the Big Lottery Fund to projects helping to make locally grown food accessible and affordable to communities. Harvest Brighton and Hove received a £500,000 grant from Local Food in 2009 to increase the amount of local food produced and eaten within the city. The project has seen wide success, even reaching the finals for the National Lottery Awards 2012. Jess Crocker, Harvest Manager at the Brighton and Hove Food Partnership, which runs the project, nominated Gary for an award in the summer, because of his outstanding dedication to the initiative, including his reliability and willingness to share his knowledge with others. 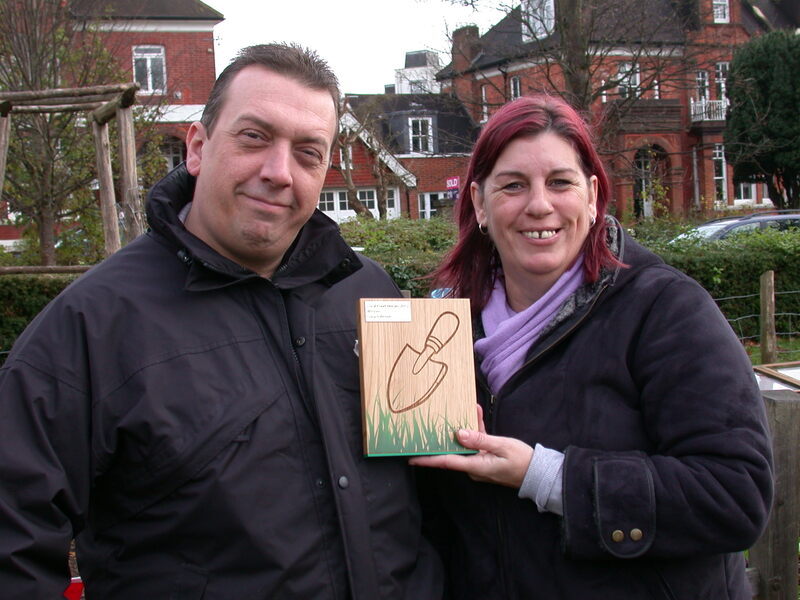 Gary is a skilled gardener and has been volunteering on the project since the start of its vegetable garden in Preston Park in 2010, helping to build the garden and turn it into a thriving vegetable plot and a social hub where families come to show their children how food is grown. Gary was initially shortlisted as a finalist by a Local Food panel, and then competed against two other finalists in the South East in a public vote to decide the winner. Thousands of people across the country voted for a Local Food Hero in one or more regions of England, by visiting the Local Food website. 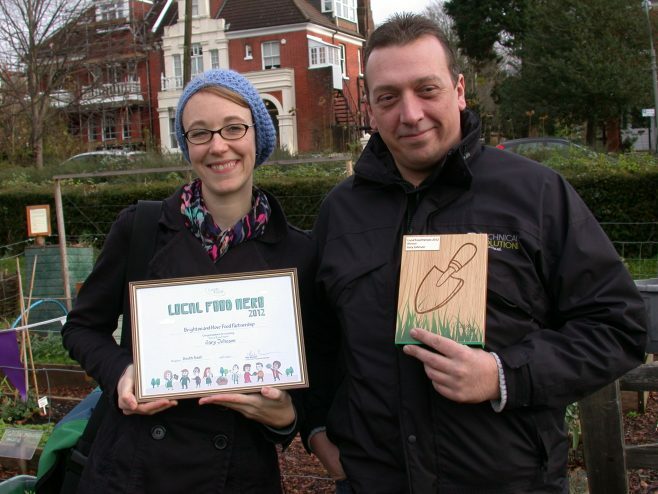 Jess Crocker from Harvest Brighton and Gary Johnson receiving their awards.